As you know, October is Breast Cancer Awareness month. Show your support and pride when you purchase several items that will help in the fight against Breast Cancer. 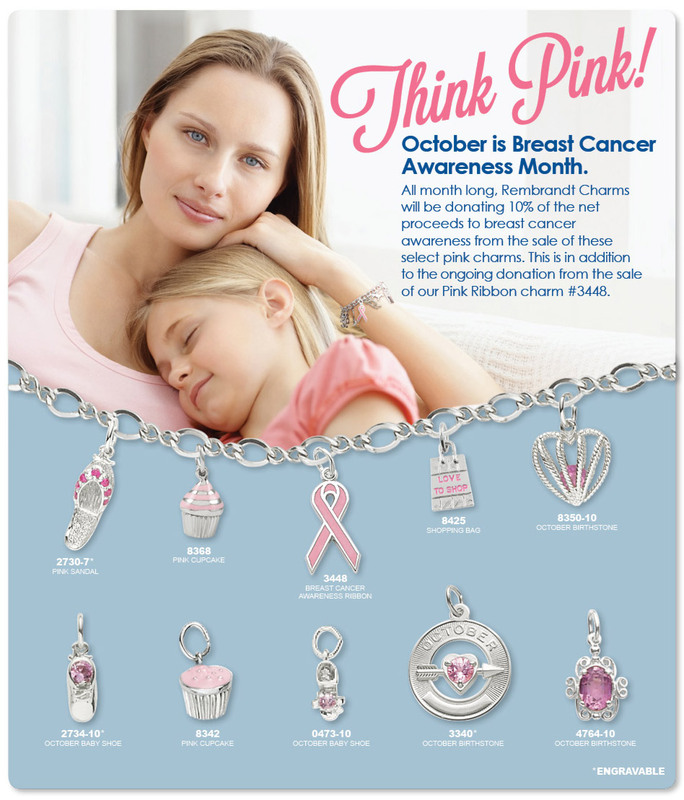 Rembrandt will give 10% of its net proceeds to breast cancer awareness from the sale of these charms. This is in addition to their ongoing donation that they give from every purchase of a pink ribbon charm. See the Rembrandt Charms in our stores, or online here. See a previous blog for additional items that will help in the cause. Click here. This entry was posted in Jewelry and tagged breast cancer awareness, charms, Jewelry, pink ribbon, rembrandt, silver, think pink. Bookmark the permalink.